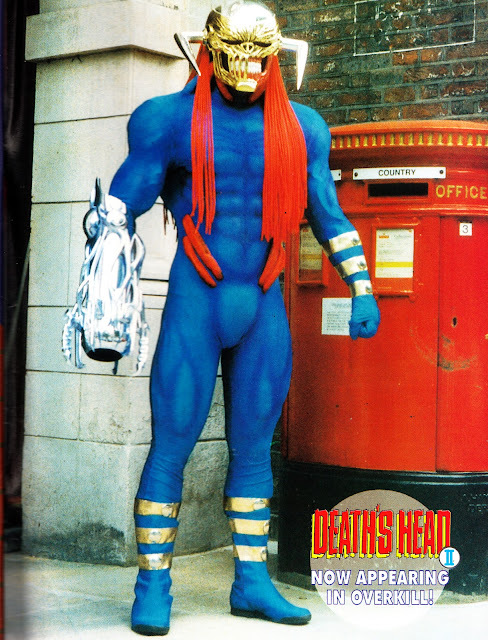 This impressive full-page pic, nicely showcasing Marvel UK's DEATH'S HEAD II costume (used for publicity purposes and public appearances), appeared in THE EXPLOITS OF SPIDER-MAN issue 17, cover-dated 12 January 1994. I think it was snapped very close to their Arundel House HQ. I wonder what ever happened to it?